EscrowOne wants to keep you and your home safe – Prepare. Plan. Stay Informed. Be “In the Know” with these guidelines for protecting your family and your property as best you can. Homeowners often feel helpless against destructive weather. But there are storm-specific home improvement strategies that can lower the risk of your home being damaged. In the case of hurricanes, for instance, you can mount storm shutters, build a safe room or install hurricane straps to help keep your roof in place when fierce winds blow. In many instances preparing against one threat can protect you from others as well. Below are some examples of things you can do to protect your home. Ensure that both the new roof covering and the sheathing it attaches to will be resist to high winds. Secure large objects like bookcases and refrigerators to floor or walls. Turn off utilities, propane tanks, and unplug small appliances. Check your sump pump to make sure it is in proper working order. Install impact resistant window systems or shutters that close over window openings. Entry doors should have at least three hinges and a bolt security lock at least one inch long. Buy non-perishable food and bottled water. Everyone needs to be prepared for the unexpected. You, as well as your family and friends, will most likely not be together when disaster strikes. How will you find each other? Will you know if your children or parents are safe? You may have to evacuate or be confined to your home. What will you do if water, gas. electricity or phone services are shut off? 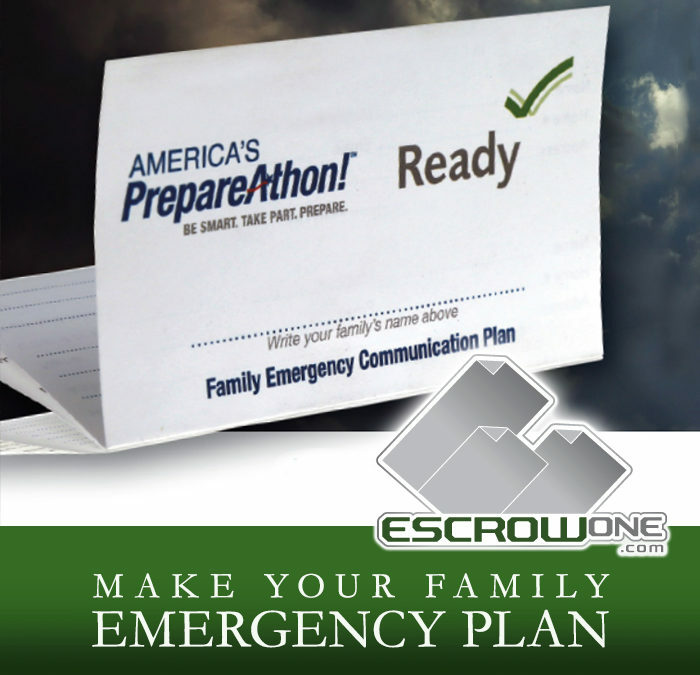 Meet with your family to create an emergency plan. Visit www.ready.gov/make-a-plan to download an emergency plan template you can tailor to your family’s needs!